When Donald Cerrone is in town, he draws a crowd. That was the hope of Donald and his new fight promotion, Cowboy Fight Series, anyway. Saturday night, January 26th saw a who’s who of local and Regional fighters, coaches and promoters converge to the Ernst Cultural Center on the Annandale campus of Northern Virginia Community College, to kick off Donald’s brand new venture. The intimate, but sellout crowd was treated to 15 amateur mixed martial arts bouts that showcased some jaw dropping performances. For those that were not able to get a ticket early enough, they were able to view the event on FloCombat, which boasted an all-star lineup of commentators, anchored by Charles DiGisco and included UFC stable mates, Karl Roberson and Sodiq Yusuff, a name that is very familiar to fight fans in the DC, MD, VA area. Matchmaker, Bryan Hamper, did a great job matching the card and boasted several bouts that pitted top ranked Regional talent against each other, for bragging rights in the Southeast. 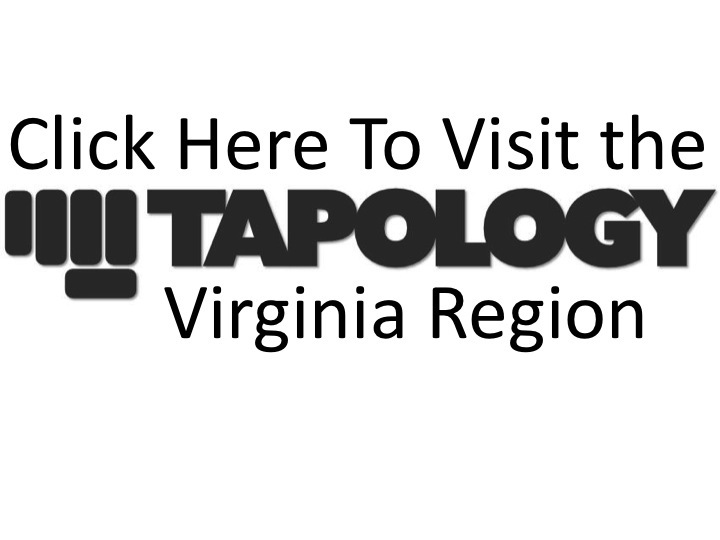 The main event featured two undefeated middleweights, as Roanoke’s Zion Tomlinson took on Woodbridge’s Oscar Jimenez. Zion, pressed the action early with some powerful exchanges and scored a hard slam of Jimenez, but due to the ground prowess of Jimenez, he did not want to engage on the ground and let Oscar get right up. Zion couldn’t stop the ground game of Jimenez, however, as Oscar ended the round in full mount, dropping elbows and taking the first round on the unofficial MMA in VA scorecard 10-9. Oscar pushed the action in the 2nd and dropped Zion with a punch and once in control on the ground, the fight was over, as Jimenez sunk in a rear-naked choke, forcing Tomlinson to tap at the 51-second mark. Jimenez improved his record to 6-0 and maintained his 100% fight finish rate in the process and also staked his claim to the top middleweight spot in Virginia. The co-main event featured undefeated welterweight Cedric Gunnison, matched up against 5-3 Brock Roderick, who was coming of a two-year layoff. Everything on paper may have led one to believe this would be a walk through for Gunnison, but it was far from it, for the Fredericksburg fighter. Gunnison, who came in boasting a 100% fight finish rate, himself, got all he could handle from Maryland’s Roderick, a veteran of several top Northeast promotions. MMA in VA scored each of the three rounds for Gunnison, but it was not an easy fight, by any means. Gunnison used several takedowns in the first round to secure that round, took some punishment in the 2nd, but got a nice leg sweep to gain top control and hit Roderick with a nice liver shot in the 3rd, but could not get the finish. The judges scored the bout in Gunnison’s favor and he ran his record to 7-0. The head scratcher of the night may have been the decision in the Chase Boutwell-Corey Champion bout. This fight pitted the number 1 and 2 ranked bantamweights, respectively, in the U.S. Southeast, according to Tapology. The first round saw Corey start the round with some nice kicks and fast and powerful punch combinations that were hurting Boutwell. When Boutwell countered, he was generally countering with one shot and was done. Boutwell got rocked by a four-punch combo and forced a clinch with Champion. On the break, Boutwell connected with an elbow to Corey’s eyebrow, forcing a cut and a referee’s break in the action to have the doctor check out the cut. The cut was deemed not serious and the fight was able to continue. Champion ended the round with a big takedown in what scored him a 10-9 round victory on the MMA in VA unofficial scorecard. Round 2 was not as strike heavy but saw more clinching from the two up and comers. Champion had strong control of Boutwell on the cage until a break from referee Ric Humphries was called for. From there Boutwell controlled more of the round in the clinch and took the round 10-9 on MMA in VA’s scorecard. Boutwell came out in the third seemingly knowing that the fight hung in the balance of the third and final round. He came out and threw a jumping knee, but was caught by Champion and taken down. With Champion in full top control, the referee stepped in for the second time in the bout and called for another break. Champion then scored a 2nd takedown of the round off of a two- piece combo. MMA in VA scored the third and deciding round for Champion 10-9. The judges saw it differently, however, scoring the decision victory for Boutwell. During the post fight interviews, Donald Cerrone came in and offered both fighters a promise of a $500 sponsorship for each fighter, whenever the 19 and 20 year olds decided to turn pro. The future is bright for both of these fighters. In a women’s strawweight bout, Kelsey Gilmore and Sydney Smith brought the house down with their 3 round war that was won by Smith. Sydney masterfully used her jab to keep the shorter fighter, Gilmore, at bay while also mixing in nice kick and punch combos all night. Gilmore seemed to be able to figure out Sydney in the third round, her strongest round of the fight, but it was not enough to tilt the final decision in her favor, however. This fight was MMA in VA’s fight of the night. Other highlights included the MMA debut of former 2-time Division II National Wrestling Champion, Garrett Lineberger, as he scored a decision victory over Jose Soto. Drew Kim won his bout against Trent Stump, by withstanding numerous submission attempts and scoring a TKO, as Stump was not able to answer the bell for the third round of their battle. Cody Matthews put the Regional flyweights on notice with a dominating TKO of flyweight powerhouse, George Billy. Matthews, who had only previously competed at bantamweight stated that he’d been wanting this matchup for the last 18 months and dropped 10 pounds to do so. In his post fight speech, Matthews stated his potential desire to turn pro after this victory. Fan favorite, James Neville, put in the shortest amount of work on the night, only needing 32 seconds to dispatch Shane Snider via knock out. In the post fight interview, Cerrone offered Neville a spot on the next Shogun Fights card, a professional event, later this year. Each winner received a Cowboy Fight Series belt buckle as a trophy and with Neville’s attached, somehow, to his fight shorts, James accepted the invitation. If this move to the pros does come to fruition for Neville, he finishes his amateur career with a 10-2 record and 6 title wins/defenses. The other area middleweights and light heavyweights cheered with this revelation. Frank Posko scored a slick submission over Christian Rose, in their bantamweight matchup. After getting taken down early in the 1st round, against the cage, Posko used a very strong offensive guard to maneuver himself off the mat and onto Rose’s back, sinking in a strong rear-naked choke at the 1:13 mark of the round. Based on the sellout crowd, the quality matchups and the star power that Cerrone and team brought to this first event, the result should be a springboard for them to take this Nationally and Internationally and be a platform that fighters will aspire to, as they progress through their careers. Cerrone made mention that he could potentially see expanding the promotion to include pro bouts as well. So, the future is as bright as a shiny new belt buckle for Cowboy Fight Series. Full fight results can be viewed on the CFS 1 event page, at Tapology.com.